In the interest of all the stakeholders, including the judiciary, that definite timelines are drawn for each stage of the process, so that process of appointment is accomplished within a time-bound manner, said the Bench. Supreme Court of India on Friday observed that definite timelines should be drawn for each stage of the process of appointment of Judges so that process of appointment is accomplished within a time-bound manner. “In Supreme Court Advocates­on­Record Association and Others v. Union of India, (1993) 4 SCC 441, this Court expressed in categorical terms that the process of appointment must be initiated at least one month prior to the date of an anticipated vacancy. It was done to achieve an ideal situation, namely, to ensure that the post is filled up immediately after the occurrence of the vacancy so that no time is lost. Unfortunately, it still remains a far cry”. The Bench also noted that sometimes, it takes more than one year to complete the process from the date of forwarding the names till appointment. “Sometimes, it takes more than one year to complete the process from the date of forwarding the names till appointment. There are instances where time consumed is much more than one year even. In the case of judicial officers of subordinate judiciary, who are recommended for appointment to the High Court, this process of consuming so much time adversely affects their tenure. It is a matter of common knowledge that most of the judicial officers get a chance for elevation when only few years’ service is left. Thus, when unduly long time is taken, even this lesser tenure gets further reduced. It also gives rise to the situation like the present one. Equally, members of the Bar, whose names are recommended for elevation to the High Court, undergo hardships of a different kind”. The Bench also observed that it is unjust that the fate of such persons remains in limbo for indefinite periods and gives rise to unnecessary conjectural debates. It leads to unpleasant situations which can be avoided. “It is more so, to keep hope and aspiration of litigants alive and to fulfil the commitment of providing a speedy justice the process of appointment of Judges of the High Court needs more expedition at the hands of all who have to discharge the constitutional obligation entrusted by the Constitution of India”. The Bench was hearing a petition challenging the appointment of two District Judges as High Court Judges, who had retired from judicial service in 2016. 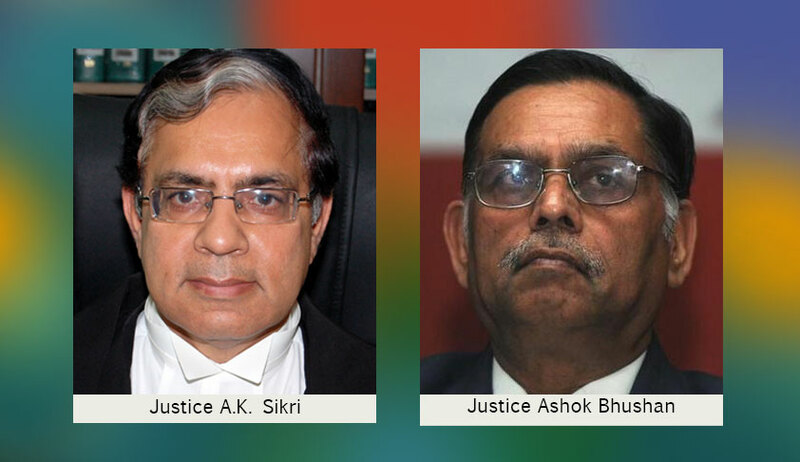 Upholding the appointment, the Bench ruled that retired judicial officers can be appointed as High Court judges under Article 217(2)(a). “Appointment of Additional Judges was envisaged as appointment to cope with the increased work load of cases in different High Courts. The temporary increase in the business of the High Court or by reason of arrears of work therein was a reason for appointment or reason for invoking power under Article 224, although as noted by Constitution Bench in S.P. Gupta's case (supra) by lapse of time the use of Article 224 has been substantially changed. But there is no denying that to cope with the increase in business of the High Court and the arrears of cases emergent steps are needed by all to fulfil the object and purpose for which constitutional provision was brought in place, enormous delay in appointment of Judges of the High Courts not only frustrate the purpose and object for which Article 224(1) was brought into the Constitution but belies the hope and trust of litigant who comes to the High Courts seeking justice and early disposal of their cases”, observed the Bench.